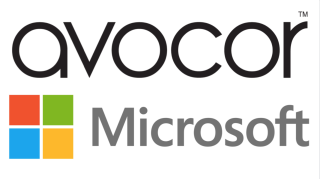 Avocor has formed a partnership with Microsoft to build Windows collaboration displays that feature advanced touchscreen technologies to enhance collaboration and enable teamwork. The new collaboration displays are fully compatible with Windows 10 and deliver the power and productivity of Office 365 and Microsoft Teams at room scale. Collaboration displays built by Avocor aim to enable people to work together in real-time and collaborate in efficient and intuitive ways. These new 4K, 20-point-touch displays offer smooth pen and inking capabilities that enable people to easily use the best of Microsoft 365 collaboration tools—from Windows and Office to Microsoft Whiteboard and Microsoft Teams—at room scale, all backed by the intelligent cloud. The upcoming Windows collaboration product line by Avocor will feature integrated cameras, stereo speakers, far-field microphones, and pen, and will easily connect to any Windows 10 PC via a single USB-C. In addition to being teamwork devices, Windows collaboration displays from Avocor will include built-in sensors that connect to Azure IoT, so facility managers can utilize the environmental data they collect to make real-time decisions.